"Hans Tammen likes to set sounds in motion, and then sitting back to watch the movements unfold." The joy of speaking to artists like Hans is that besides their interesting production, there are so many ideas and concepts to discuss, both to better understand the practice or for pure speculative pleasure. I met Hans for the first time on a very hot summer day downtown New York, in August 2018. I overwhelmed him with question on interaction, interactive art, his approach and his theory about it. I've never had a more engaging conversation partner on this topic, I left that meeting much richer than I had arrived. 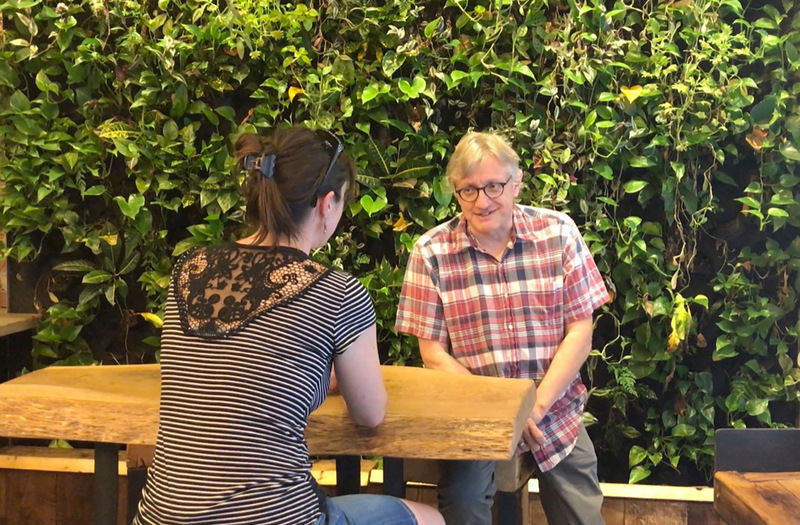 So it was my pleasure to record this interview with Hans later in 2018, covering more of his works (not only the idea of interaction), while I was back in Europe and he was spending some weeks in California for an artist residency. New York is where Hans Tammen has lived for many years, with his artist wife and kids, after leaving Germany where he grew up. Hans is an artist and an educator: he teaches Media for the Arts at the School of Visual Arts (SVA) in NYC. 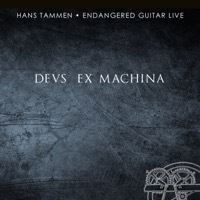 During the interview, I asked Hans to talk about his ongoing project, the "Endangered Guitar" - though this name has come to identify his entire line of experimentation with the guitar. Why "Endangered Guitar"? Because of the extreme alterations he enacts upon his instrument’s sound and construction, resulting in a hybrid guitar/software instrument made to interactively control live sound processing. 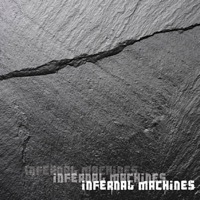 Signal To Noise called his works "a killer tour de force of post-everything guitar damage", and in the interview I ask him to explain why he thinks that critics use such aggressive terminology to describe his work. The answer includes one of my favourite quotes from the interview: "If it's loud, people write about it." Hans has experimented with data sonification ("Conflict of Interest": 'genetic data that is not associated with health issues, but with identity') and other "interferences" of art and science data. I hope you enjoy this interview as much as I did, and there's a treat: three musical intermezzos taken from Hans' published works, the cover of which you can see right here in the right column.